Want some help focusing on Christ this year? But I know from personal experience how hard it can sometimes be to think of and fit Christ-Centered activities and conversations into our every day busy schedule. That's why I created these tools to give you that little extra boost you need to help yourself focus more on Christ, better answer your kids questions, and live through the month of December with intention and focus. 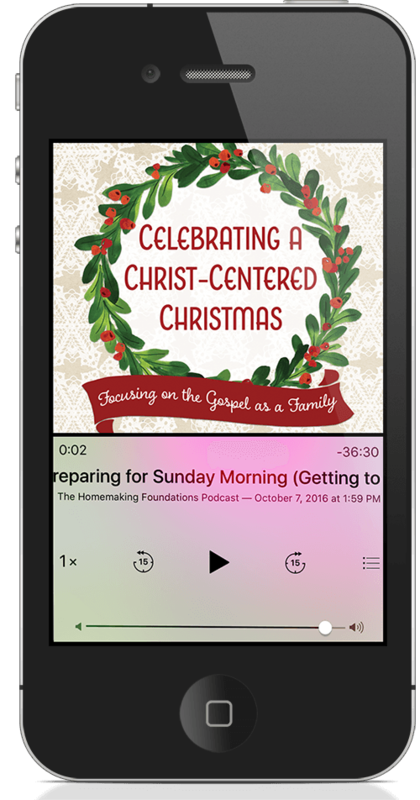 Access to 6 audio lessons that walk you through the true meaning of Christmas, why Christmas time is such a celebration, how we can focus on the Gospel more in our daily lives, and traditions and routines throughout December to help you focus more on CHRIST! Would you prefer to read through the series than listen to it? You have the option with the eBook that's included! One of the best ways to focus on Christ this Christmas is by reading and memorizing God's Word. 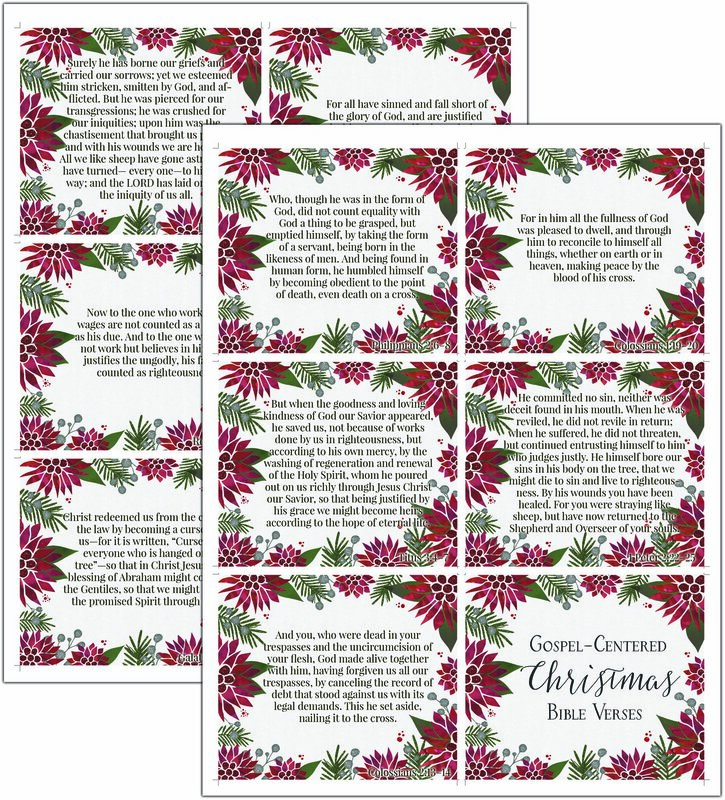 We've made it simple to do so with these Christmas related Bible verses all ready to print out on these beautiful cards. 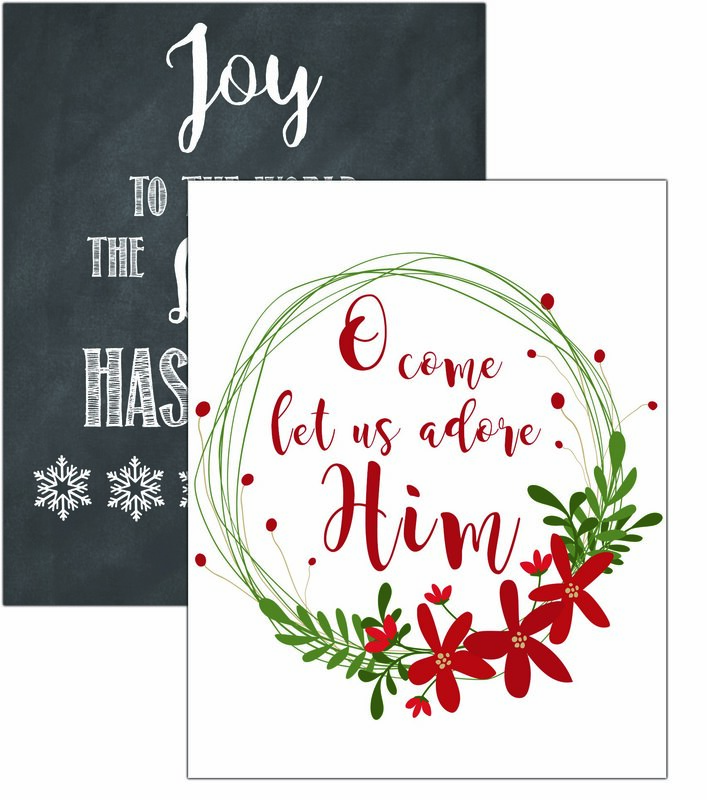 Download two printable Scripture art prints that are perfect for Christmas. Put up in your own house to remind your family about the true reason for the season OR give as a beautiful gift to someone. Looking for a fun way to spruce up your Christmas gifts? 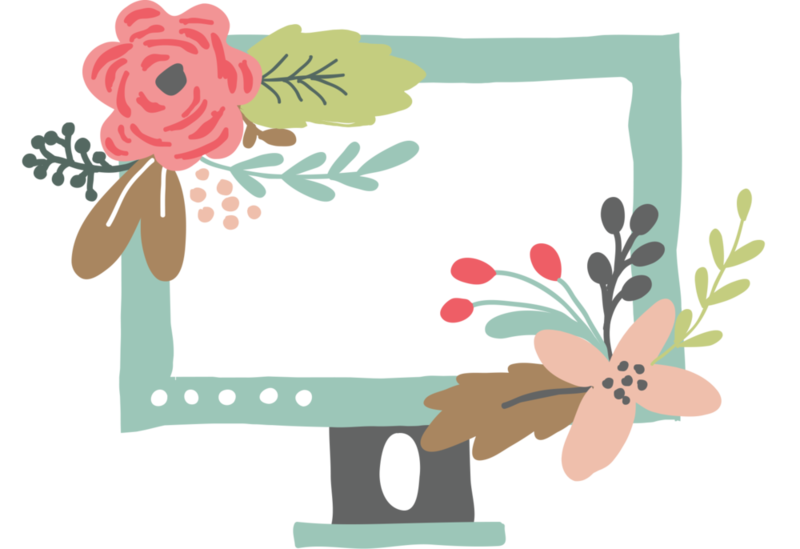 Download these FREE printable tags as a fun bonus! 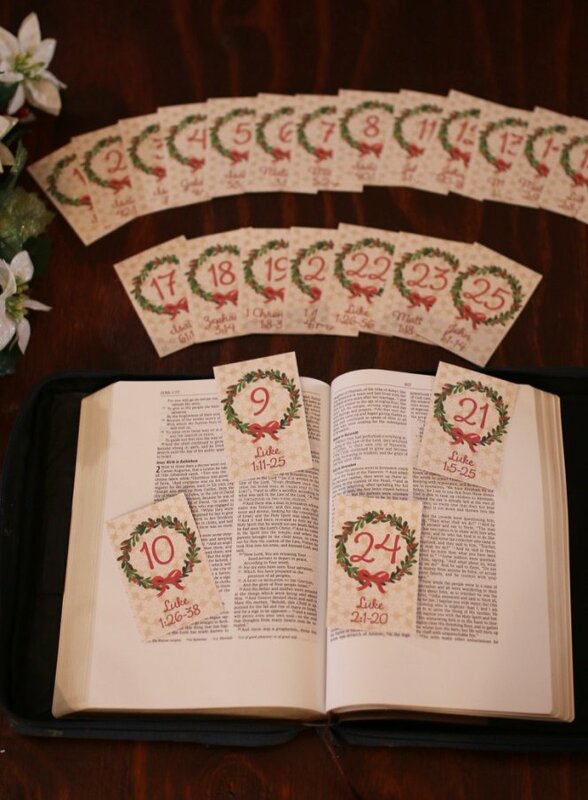 Our family loves doing an advent calendar, so what better way to focus on Christ than with a Scripture based advent calendar? Simply print the cards, cut them out, and stick them in the pockets of your advent calendar. Do you have a smaller advent calendar? Maybe one of those small ones with little doors? 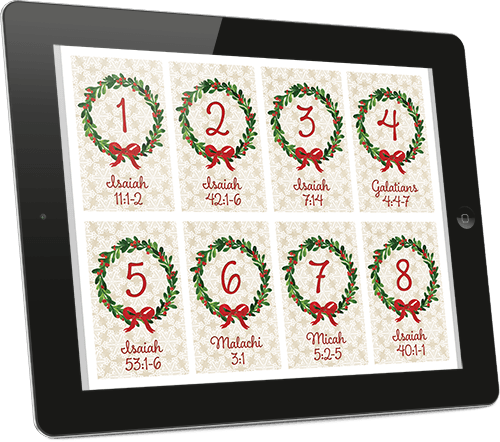 Here's our same popular Scripture advent calendar but in a small version! Simply print whichever version works best for you. Everything you need to effectively plan this Christmas season! 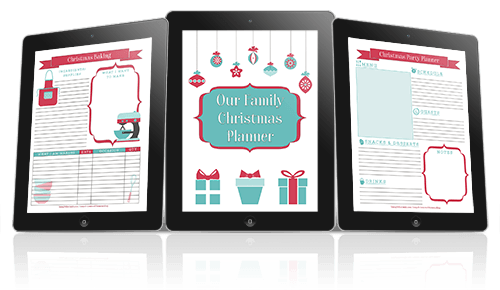 Includes: December calendar, Christmas card checklist, Gift tracking sheet, Christmas party planner, Christmas to-do list, Christmas baking tracker, Christian traditions worksheet, Serving list, and Scripture advent reading tracker. 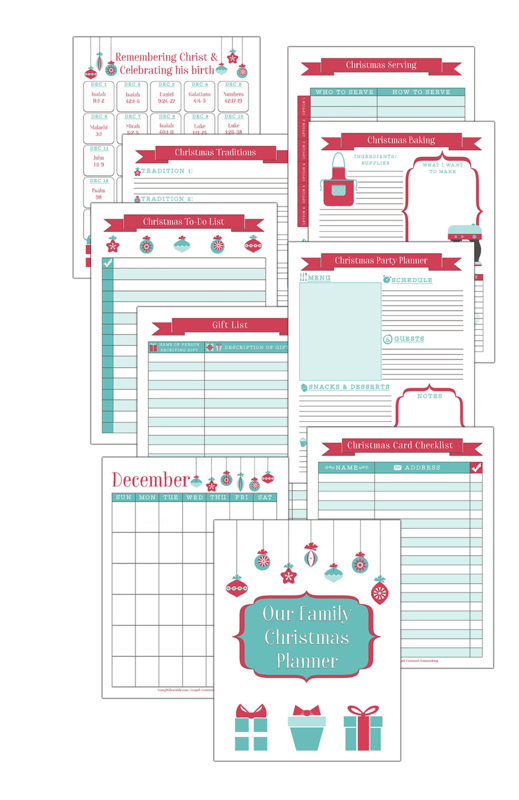 As an awesome bonus, get access to our new Family Christmas Planner! You can of course get through this season without planning much. But why add all that extra stress and chaos? I've learned that when I can take just a little bit of time to plan ahead, I can use my time so much more effectively and efficiently. So I put together this Family Christmas Planner to help. Christmas Party Planner to take the headache out of planning a fun party! Advent Scripture Reading Tracking to really help you focus on Christ this year! Advent calendars with little pieces of chocolate or a little goodie each day can be fun, but it doesn't do much to point us back to Christ. A beautiful way you can intentionally focus on the Gospel and learn more about our savior is with a Scripture based Advent Calendar. And we've made it easy for you! All you have to do is print off the cards (You choose between the large format or the small), cut them out, and each day of December read the Bible verse or passage. I've intentionally designed this calendar to walk you through the story of Christ. You will start with some Old Testament passages that prophecy the birth of Jesus, then move on to the shepherds, wise men, Jesus in a manger, and how this all affects our daily life. 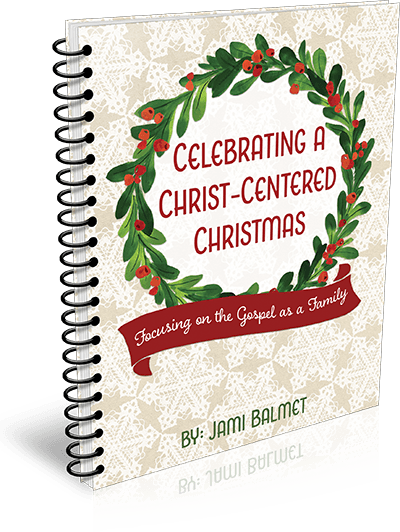 Download this digital it that helps you have have with your family AND focus on Christ more this Christmas season. The digital pack includes a family Christmas planner, printable advent cards, scripture memory cards, a 6 part audio teaching series, and more!